This option is only introduced to protect the author of the program, and not to annoy the end users. The Info Dialog will automatically popup after starting Rocview if the agree attribute in the rocview.ini is not set to "true". 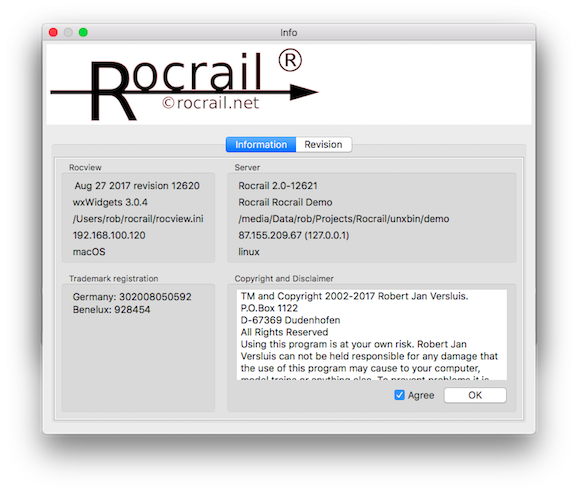 Unchecking the Agree option will end Rocview and Rocrail, and it is not recommended to uncheck this while Rocrail is running in automatic mode. 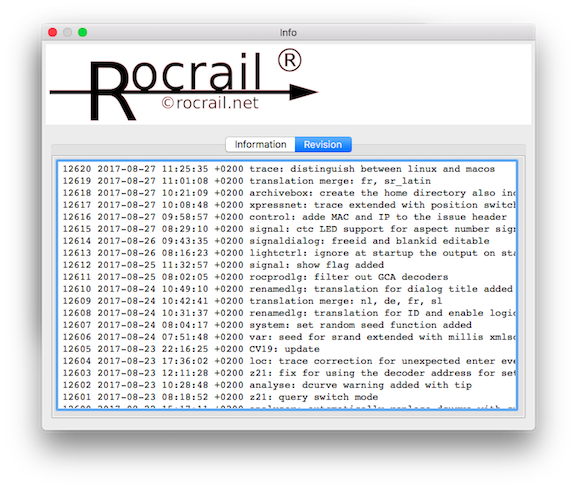 By setting manually the agree attribute in the rocrail.ini to "true" will be regarded as agreed to the disclaimer as stated in the Info dialog. This tab shows the last 50 commit comments. The dialog can be resized to make it more readable.